You could benefit from this location's rapid employment growth. The unemployment rate in the U.S. is at a 50-year low. A GOBankingRates study determined the top states where employment growth has been above average. Colorado is the No. 1 state for job seekers. Losing a job and searching for a new one can be a frustrating process. Americans spend a lot of time looking for the perfect job opportunity; if you’re doing that now, don’t stress. The unemployment rate is actually the lowest it has been in 50 years, according to an October 2018 study by the Bureau of Labor Statistics. And some states have more ample opportunities for employment than others. GOBankingRates examined the employment and unemployment rate changes over the past five and 10 years across all 50 states. The study also assessed the average labor force participation rate, as well as the industry variety across each state. Here are the best and worst states to seek employment, as well as the No. 1 state for job seekers. Why Is Colorado No. 1 on the List? In this study, Colorado is the best state for people seeking employment. The state’s unemployment rates have stayed comparatively low over the past decade, making it No. 1 on the list as the best place to find a job. The Centennial State is the best state for job seekers because of its incredible 17.2% employment growth over the last 10 years. The five-year employment growth is also impressive at 15.6%. 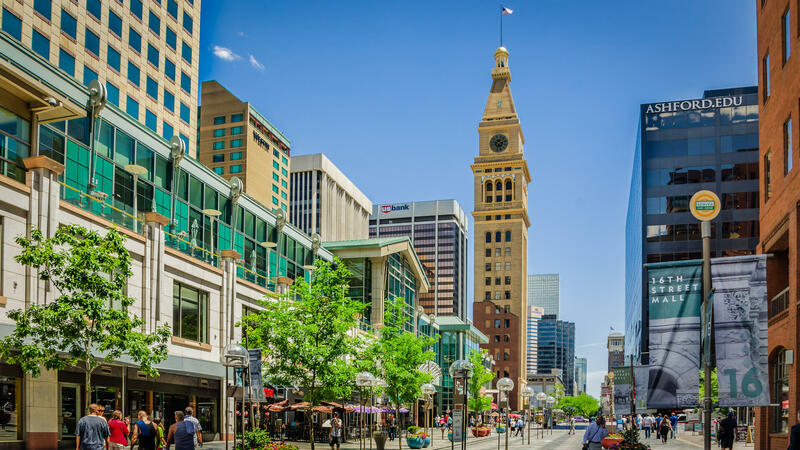 Colorado has unemployment rates considerably below the national average, averaging 3.6% within the last five years and 5.7% within the last 10 years. The 10-year labor participation rate is 68.96%, with the five-year participation rate at 67.66%. The labor force participation rate refers to the number of people who are either employed or actively seeking employment, which is given as a percentage of the total population. This measures the amount of labor within a state’s economy. There are just 107,888 who are unemployed in Colorado, with 3.1 million people participating in the labor force. Coloradans are prominent in many fields, with 360,490 people taking jobs within the office and administrative support occupations. There are 296,130 individuals employed within the sales industry, the second-most popular job in Colorado. The 10 best states have all experienced above average five and 10-year employment growths. On top of this employment growth, these states also have, on average, lower unemployment. So, not only are the employment rates increasing, a large majority of the state population is already employed. Alternatively, the worst states to find a job have considerably slower employment growth. This lack of growth contributes to higher rates of unemployment. A big factor that led to these states’ unfortunate ranking was the lack of industry variety. This may indicate that certain industries may be dying within these areas of the country. New residents are flocking to Colorado for new job prospects and a better quality of life. It had the fifth-largest net migration from 2014-2015 with a total of 67,781 new residents in the state. If you’re making the decision to relocate to Colorado, keep the following tips in mind when searching for a job. 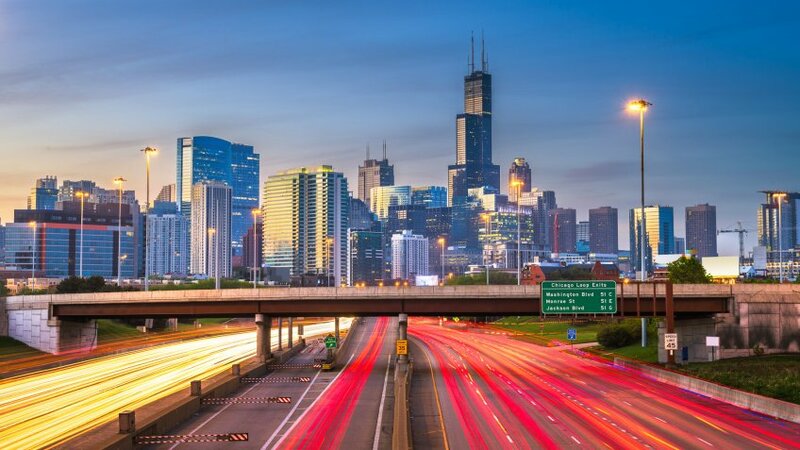 Research the best cities for your specific job search. Denver, Boulder and Colorado Springs are the best cities for tech workers. Decide what your personal preferences are in regard to location. Make a list of qualities you would like to have in your new city. There are many factors to consider, including cost of living, commuting and housing opportunities. It is also imperative to consider relocation expenses before packing your bags. Networking is about building relationships. Oftentimes, finding a job is more about who you know than what you know. Reach out to your network to see if they have any valuable connections in Colorado. It’s important to ask for advice — not a job. Putting pressure on your network won’t help you in your job search. If they’re looking to hire you or refer you to someone else, they will do so on their own. Is this employer considering out-of-state candidates? If not, express in your cover letter why your skills make you a better and more unique candidate for the position. When you officially relocate, register as a Colorado resident. It’s also important to change your location on your resume and on LinkedIn so your profile is easily searchable for local recruiters and employers. Check out 12 cities with high salaries and low costs of living. Methodology: GOBankingRates determined this list of states by analyzing each one along the following criteria: (1) 5-year and 10-year average unemployment rate (2014, 2015, 2016, 2017, 2018), (2) 5-year and 10-year unemployment rate change (Dec. 2013-Dec. 2018, Dec. 2008-Dec. 2018), (3) 5-year and 10-year employment growth, (Dec. 2013-Dec. 2018, Dec. 2008-Dec. 2018), all sourced from the Bureau of Labor Statistics; (4) 5-year and 10-year average labor force participation rate, sourced from the Economic Policy Institute; (5) underemployment rate, latest data from Dec. 2018, sourced from the Bureau of Labor Statistics; (6) job openings, sourced from Glassdoor; (7) ratio of job openings to unemployed people, the latter sourced from the Bureau of Labor Statistics’ latest data from Dec. 2018; (8) industry variety, based on each state’s percentage of employment by industry and its deviation from the U.S. average, with employment by industry sourced from the Census Bureau’s 2017 American Community Survey. All data compiled on Feb. 25, 2019. You can find great media jobs outside of LA and NYC.